I went into The Intern with zero expectations. It looked like a sweet but probably forgettable comedy. 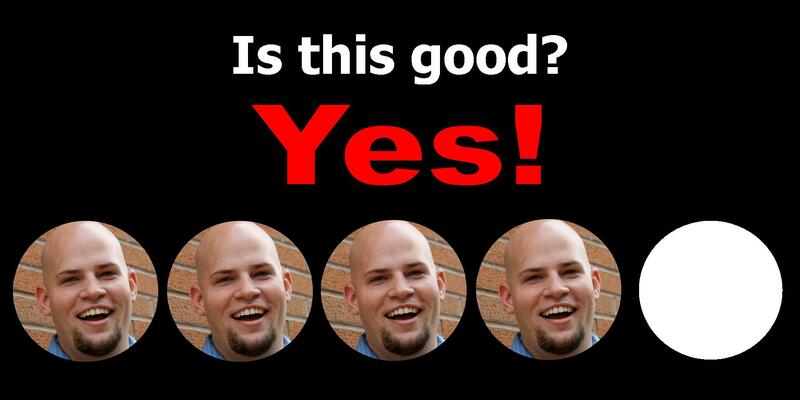 Did this movie merely deliver that? Or did it manage to actually stand out? Ben Whittaker (Robert De Niro) is a 70-year-old retiree and widower who is looking for something to take up all his newfound spare time. He applies to be an senior intern (literally a senior intern) at a new online clothes outlet that was started and now managed by Jules (Anne Hathaway). She wants nothing to do with him but starts to slowly see that he has much to teach her, if she’d only let him. We also have Rene Russo as the office masseuse, Adam DeVine and Zack Pearlman as office coworkers, and Anders Holm as Jules’ stay-at-home husband. This movie at its core is about the gap between generations and how we deal with things differently (and what we can learn from each other). This movie manages to embody the feel-good comedies of the 90s and it’s this nostalgia that reminds you of when times were different. A lot of it was the score (light piano mostly) and the cinematography (very traditional yet sufficient shots). I immediately went home to see what else director Nancy Meyers had done and it made perfect sense once I saw that her resume included The Holiday, Something’s Gotta Give, and What Women Want. Her style works perfectly here, subtly pairing with the message of the film in an incredible way. Robert De Niro knocks it out of the ballpark as Ben, our lead. He’s done a lot of films where he’s menacing or intimidating so it’s a nice change of pace to see him as this completely lovable and caring man. He’s able to, without a word, make you just want to give him a hug. And it’s that strength of character that carries this film. Without you caring about Ben, there’d be no stakes here. But luckily, it works completely. 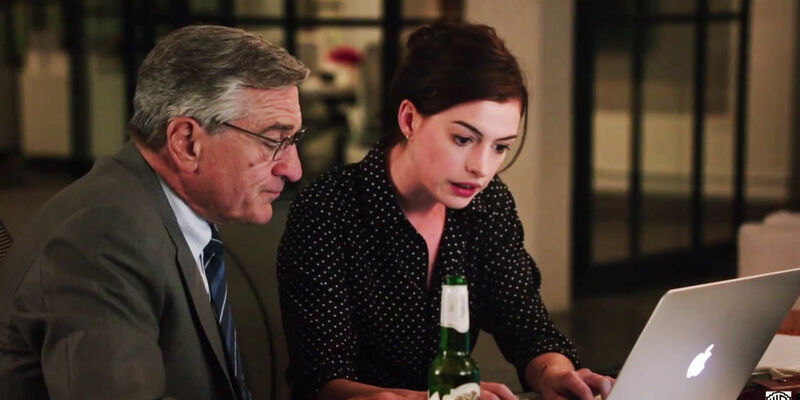 As his opposite, Anne Hathaway also delivers a strong performance. It starts out relatively cliched as the hardworking and driven absentee wife. However her character has a great and unexpected arc that really takes this movie to a deeper place than I expected. My only major complaint is that the movie lasts maybe 20-30 minutes too long. Some excess could’ve been cut out and made this movie a little quicker and a little leaner. The Intern impressed me, mostly because I expected nothing. It was surprisingly funny and had some great poignant moments as well. De Niro carries this film and delivers an incredible performance, one very much against his type. 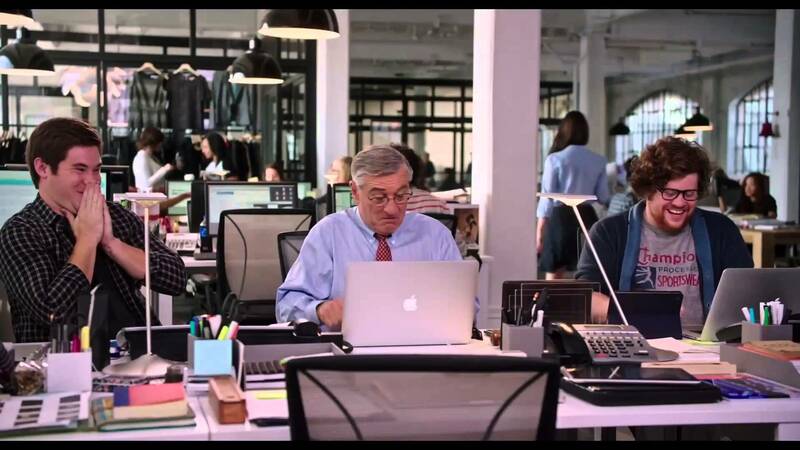 If you’re looking for a solid comedy and the potential for a few tears, The Intern won’t fail you. This entry was posted in Movies and tagged adam devine, adam ryen daniels, anders holm, anne hathaway, i am your target demographic, iaytd, intern 2015, intern movie, intern review, movie reviews, movies, rene russo, robert de niro, the intern, zack pearlman. Bookmark the permalink.